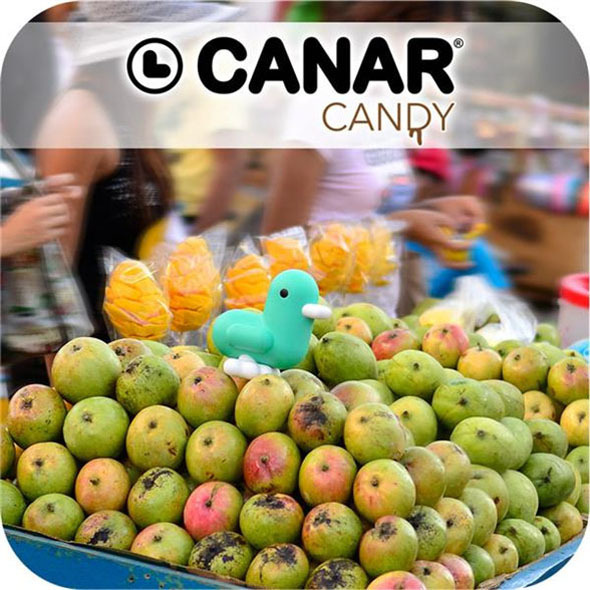 These Canar CANDY Bankers are the perfect combination of style and practicality. With 4 unique colours and customizable features, you are sure to find a style to suit yourself or your loved one. 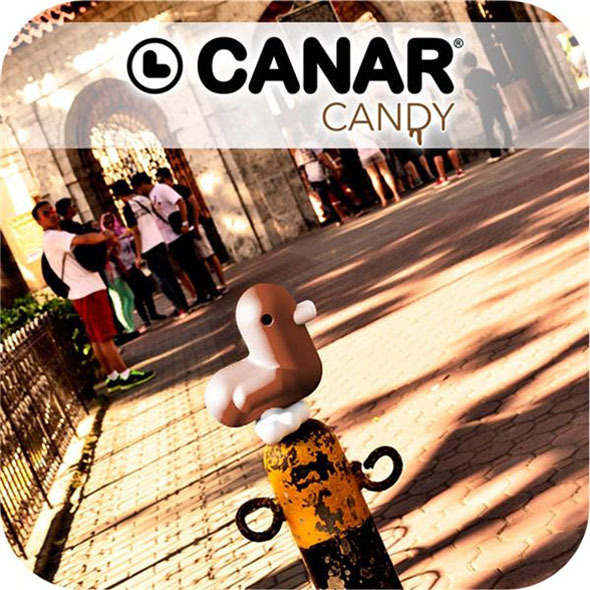 Choose from Candy (pink), Chocolate (brown), Princess (white) or Sweety (blue), then use the set of customizable stickers to make them your own! 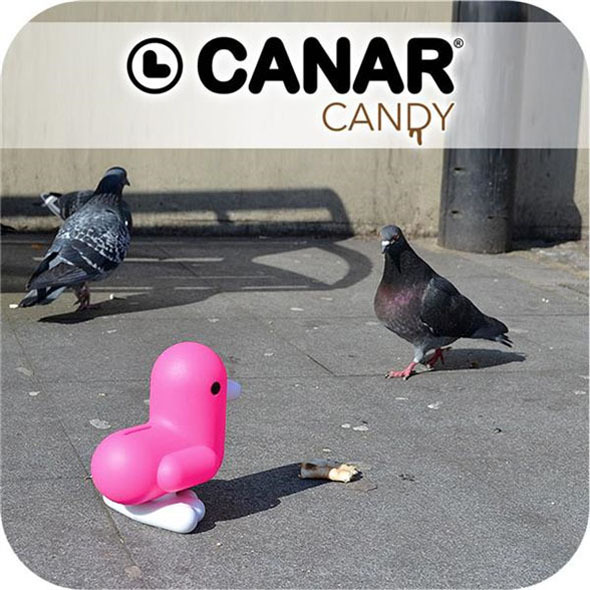 When you turn them to the side you will notice their unusual heart-shaped body, making them the perfect gift for that special someone. 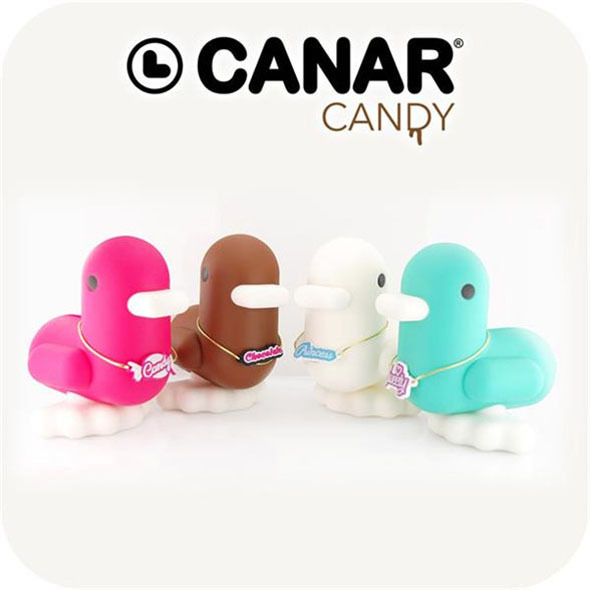 These cute Canar CANDY bankers are a stylish and sweet storage solution for all your loose change! Just slot your coins in at the top, then twist the feet for easy ejection when you're ready to count that dollar. Happy Saving! 4 unique designs to choose from; will suit a variety of tastes and styles. 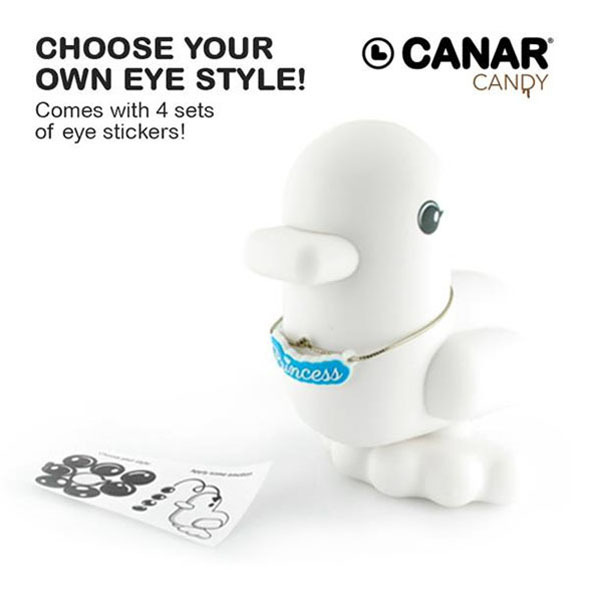 Comes complete with a set of stickers so that you can give your duck its own set of eyes. If the CANDY collection isn't your thing, why not take a look at our DESIGNER, FLUO and CMYK Bankers for a wider range of colours and styles.